The Billy Deans success Angel segment is dedicated to another successful Billy Deans employee. It is a testament to how an individual can turn an entertaining career into an even greater life. 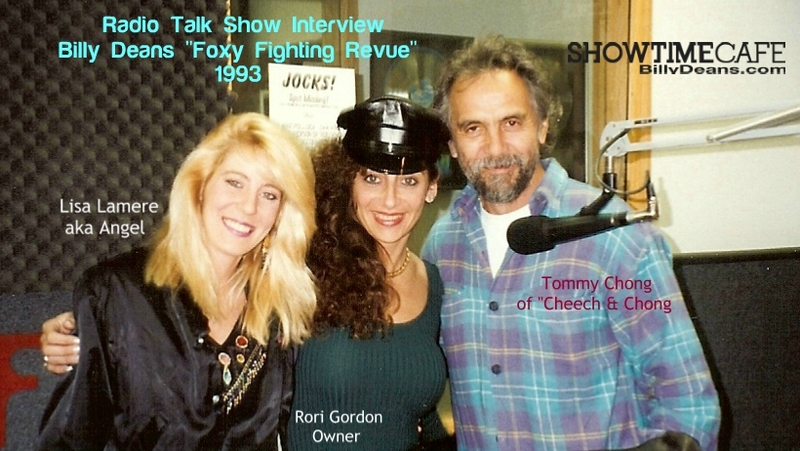 On the road with Rori and Angel in 1993 for a Foxy Fighting Revue show we stopped for a quick radio guest appearance. Because it was a live interview we had the opportunity to share the hour with Tommy Chong from “Cheech and Chong”. It was a great promotion. It led to another sold out show at the Rochester Convention Center. This tour was accompanied by Lisa Lamere who back in the day was known as “ANGEL”. Billy Deans success Angel was a top performer with Billy Deans Showtime Cafe for 12 years. ANGEL has the voice of an Angel. This is how she earned her name. Because of her great talent she was considered in the same caliber, no actually a notch above another favorite dancer known as “SAFIRE”. Because Angel could sing. She could memorize the audience without removing her clothes. 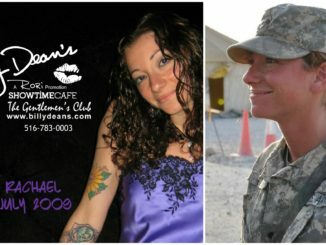 Angel was the most popular of all our girls and received “fan mail” over her many years of employment. An incredible performer who sings, emcees and danced with a captivating smile. Angel traveled with the Foxy Boxing and our Hot Oil Wrestling show. She sang and emceed several muti-city tours. Angel was another Billy Dean protege who started her career at the age of 18. Because the rewards of being an accomplished entertainer may pay off tremendously it absolutely proved out handsomely for this young gal. Angel purchased a car, secured her own apartment and eventually purchased a home. She furthered her life by raising two beautiful children. For the critics who condone the accomplishments of our extraordinary women they do not comprehend this is a career choice. So many gals are proud of the years they worked with us. The Throwback Thursday Angel segment is to acknowledge how hard worked paid off for her, along with many others in the employment of Billy Deans Showtime Cafe. We are very proud of their accomplishments and are happy to share them here with you.